BitCoin has certainly made impact in countries such as Japan and the U.S., but perhaps the idea of bitcoin in Cambodia will take a longer time to catch on. However, that does not mean to say that the idea no form here. A new cafe – appropriately named Coin Cafe – has opened on street 360 in Phnom Penh. Living up to its namesake, it is the first place in Cambodia to accept payment via the virtual currency known as BitCoin. According to Google, 10000 Riel = 0.01 BitCoin. This online currency was created in 2009, and users use a digital wallet to “transfer money” to each other. There is a BitCoin exchange that you can buy the currency from. At Coin Cafe, you can make purchases on your mobile phones. Simply take a picture on a QR code inside the cafe, and use the aforementioned digital wallet to transfer coins to the account embedded in this QR code. Steve Menger, owner of Coin Cafe, hopes that Cambodian businesses will start taking notice of this completely decentralised currency. His website, BitCambodia.com, aims to export Cambodian products via BitCoin payments. Businesses that wish to adopt this method of payment will have to connect their BitCoin account to their bank account. This makes any transaction almost entirely traceable. There is belief that this transparency will be able to solve many security issues in Cambodia. Users on various forums have also been discussing the possibility of using BitCoin to transfer money to their loved ones. BitCoin could definitely mean easier payment and a higher level of security in money transactions, but most of it is still uncharted territory. In time to come, perhaps its expansion will tell more of its power in catching on. 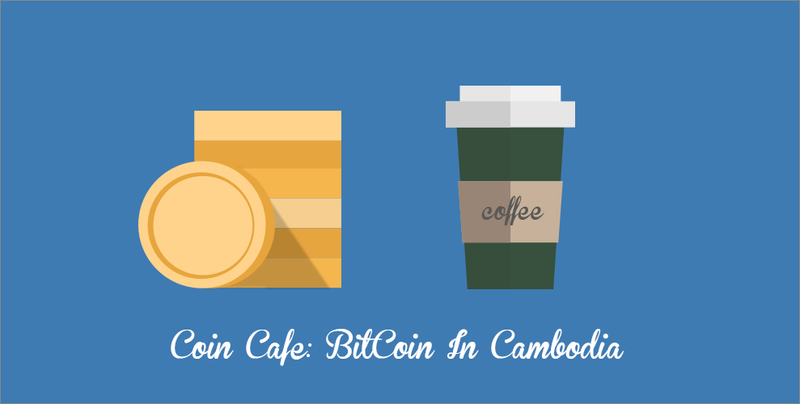 You can read more about BitCoin here, or buy BitCoins from BitCambodia here.